The ABLE Account is an incredibly valuable new savings vehicle specifically geared for individuals with disabilities. Brian shares his personal experiences raising a special needs child and gets into the details of how these accounts operate. 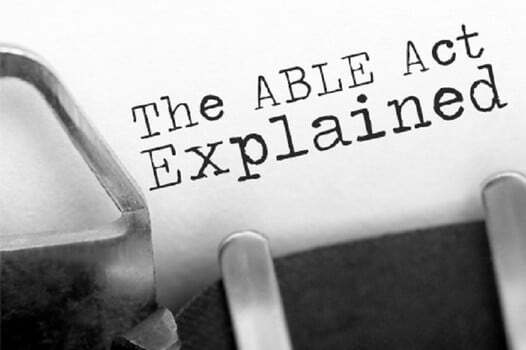 The ABLE Account is essentially a way to save and invest on a tax free basis to use for the support costs of disabled individuals. Earnings grow tax-free if used for qualified expenses, which include HEMS (Health, Education, Maintenance and Support). This is fantastic news, because these qualified expenses are generally fairly liberal. Contributions are not tax deductible at the federal level, but may be eligible for a state tax deduction in certain states. Contributions are limited to $14,000 per year per beneficiary. Each beneficiary can only receive $14,000 per year and only have one account, no matter who contributes to said account. Eligibility to the account is limited to individuals who have been diagnosed with a disability before age 26. These savings accounts will not disqualify the beneficiary for public benefits like: SSI, SNAP and Medicaid, unless the account exceeds $100,000. Compare that to having traditional savings greater than $2,000, which would limit federal assistance programs. Once the ABLE Account does exceed the $100,000 mark, SSI benefits are suspended until the account value falls back below $100,000.